Shopping for a new Hyundai Tucson? If you want the latest in safety—forward-collision warnings and automatic emergency braking—you’ll have to buy the most expensive Tucson. Hyundai doesn’t sell those features on any other model. 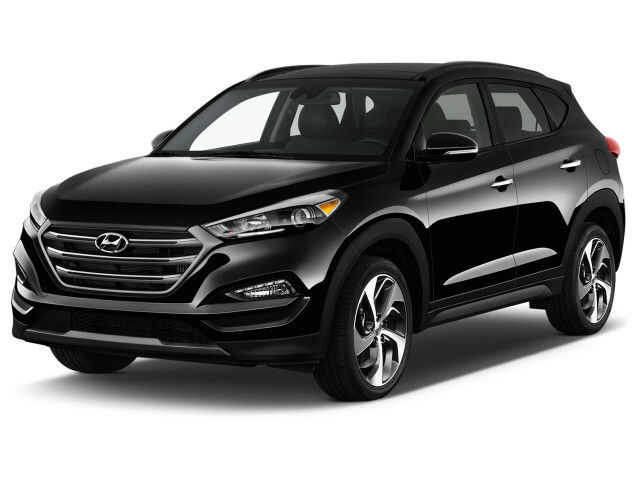 The 2018 Hyundai Tucson is a compact crossover SUV in a crowded field. The small Hyundai uses a superlative warranty, good versatility, and ease of use to tempt shoppers. Sound boring? Hardly. If we could ask the same from our smartphones we'd keep from ditching ours every two years. The Tucson wears a well-tailored sheet metal suit, one without any cheap flaws or awkward lines. The grille’s a dead ringer for the front ends of other Hyundai crossovers, and from the side it’s a downsized clone of the long three-row Santa Fe. Inside, the carefully formatted cabin puts on hard plastic in base versions, but most others soften the trim, which brings out the design’s best curves and surfaces. Base Tucson crossovers have a 164-horsepower 4-cylinder and a 6-speed automatic, but it’s not the more desirable or even the more thrifty choice. Aim instead for the upsell powertrain, Hyundai’s 175-hp 1.6-liter turbo-4 and its 7-speed dual-clutch automatic. It’s reasonably smooth and has a rational amount of power for its intended use, though a full load of people and cargo pushes it to its VO2 max. All-wheel drive is an option. All Tucsons have lifeless electric steering, but the suspension and tires are tuned and selected for a well-damped ride, notable on a car that’s significantly smaller than some of its biggest competition. On that angle, the Tucson doesn’t have the big cargo space of a CR-V, but it acquits itself well in seating four passengers. There’s enough space for that number, but a fifth passenger will be unwelcome unless they’re rail-thin. The Tucson’s rear seats recline and fold down, which helps boost the available cargo space. Every Tucson has a rearview camera, and crash-test scores have been good, but the latest safety touches are walled off in Limited models. All Tucsons have Bluetooth, touchscreen audio, and power features. Hyundai bundles other features in trim levels, so a panoramic roof, leather, navigation, and Android Auto and Apple CarPlay are offered—just not as options. The Tucson has simple lines and a well-organized interior. In its current edition, the Hyundai Tucson adopted a handsome set of curves that eliminated a lot of the busy surfaces of older versions. The Tucson draws on the larger Santa Fe sport for inspiration. 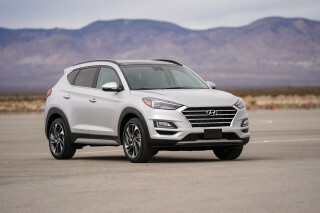 It has a relatively short glass area, but the big six-sided grille and geometrically defined headlights fit perfectly alongside Hyundai’s bigger crossover SUVs. On the more expensive versions, the Tucson adds 19-inch alloy wheels for a more imposing look. Inside, the Tucson has an conservative appearance and on most models, a good combination of textures and trim. Limited models, for example, have stitched trim atop their instrument binnacles. The dash has a simple and elegant look, and it’s laid out with care. At its price point the Tucson could do much worse than the soft-touch surfaces that trim out most versions; base SE editions have a lot more hard plastic that reminds us of the early days of small SUVs. Our sole complaint about the interior in the Tucson is in the controls themselves. Hyundai’s shaped a lot of buttons and knobs similarly, so adjusting fan speed or changing a radio station might take a quick glance down and away from the road. 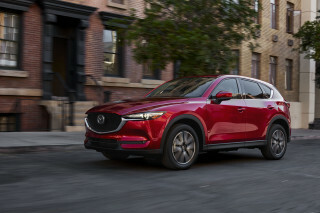 What looks great in a catalog or a showroom isn’t always great in everyday use, but the Tucson’s no different here than some high-dollar German SUVs. Lifeless steering and moderate turbo power are offset in the 2018 Hyundai Tucson by a well-damped ride. The Tucson doesn’t leave drivers with many choices. Once you lock in on an engine or a number of drive wheels, Hyundai figures out the rest for you. We’d skip the Tucson SE, SEL, and SEL Plus trim levels. They come only with a 164-hp 2.0-liter inline-4, a 6-speed automatic. It’s not very powerful and uses more fuel, so price is its only selling point. All other models offer a 175-hp, 1.6-liter turbo-4 coupled to a 7-speed dual-clutch transmission. With 195 lb-ft of torque available relatively low in the powerband, this Tucson has more than adequate power, and shifts blip by without much shock or hesitation. It shouldn’t be mistaken as sporty in any dimension, and with just a hundred extra pounds or so on board, it can seem sluggish to pull off the line, even if the drive-mode selector’s been moved to Sport. The base 4-cylinder feels more responsive off the line, probably due to its conventional automatic, but the turbo-4 ultimately makes better and more useful power. Buyers in snowy states will probably want to opt for all wheel-drive. 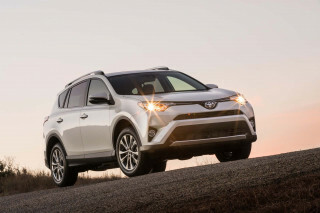 Unlike some rivals, all trim levels can be specified in either front- or all-wheel drive. For extremely slippery conditions, like in deep snow, a driver-selectable switch locks the torque split between the front and rear wheels to maximize traction at lower speeds. The Tucson's ride and handling err more on the side of predictability than outright sportiness, which is typical for this segment. 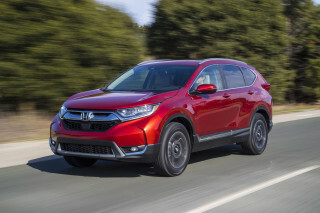 A MacPherson strut front suspension and multi-link rear setup deliver a fairly firm ride with the optional 19-inch wheels in Sport and Limited trim levels. That ride quality can turn downright jarring, at least momentarily, over, say, expansion strips or rutted pavement. Despite being light on sportiness, Tucson crossovers with all-wheel drive include torque vectoring that improves cornering performance. It does so by braking the inside rear wheel and delivering additional torque to the outside rear wheel. That's tech normally reserved for sports cars, but it does aid in stability here. Rivals have more cargo room, but the Tucson has well-shaped seats for four people. The Tucson grows a little each time Hyundai redesigns it. In its current form, it’s a bit smaller than crossovers like the Honda CR-V, but Hyundai makes the most of it with a clean design and good seats. In front, the driver and passenger get comfortable, well-bolstered chairs on all trim levels; only the base SE lacks a power-adjustable driver chair. The passenger-side seat can be adjusted for height, but only the Limited gives it power control. In back, the Tucson can carry two adults in good comfort, so long as you recline the seat to a normal position. Otherwise, the seatback sits quite upright. There’s plenty of space for tall passengers and good knee and head room, but to stuff a third person in the second row, you’ll need some sort of signature on a waiver. Behind the second-row seat, the Tucson offers 30.1 cubic feet of cargo space. It’s usefully shaped but far less capacious than the Tucson’s main rivals. Flip down the rear seats and the space measures 61.9 cubic feet. The cargo area has a floor that can be lowered a couple of inches when a bit more room is needed; you may just choose to leave it in the lower position, as we did in a week of driving. On all Tucsons, the layout of the gauges and controls couldn’t be clearer. The dials are free of gimmicks and unnecessary graphic clutter. The center console leaves the right functions in button form, and moves the remainder to the touchscreen. Trim quality varies by model. The top Limited version has leather and soft-touch plastics, and the cabin bathes in sunlight through its panoramic roof. 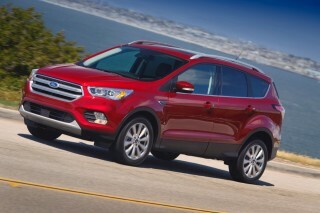 Base models have a hard-plastic finish that speaks to their bargain-buyer appeal. The Tucson fares well in crash tests, but Hyundai severely limits availability of the latest safety technology. Federal and independent testers give the Hyundai Tucson high marks. The current Tucson earned five stars overall from the NHTSA. The IIHS calls it a Top Safety Pick. However, only the most expensive model has forward-collision warnings and automatic emergency braking. It missed out on a perfect score from the NHTSA with its sole four-star rollover resistance rating. The IIHS thinks the headlights have room for improvement, so it missed out on a Top Safety Pick+ nod. Value and Limited-edition Tucsons have blind-spot monitors on top of the standard rearview camera. Limited models also have lane-departure warnings and parking sensors. Hyundai loads up the Tucson Limited, but doesn’t offer much in the way of stand-alone options or custom touches. Hyundai sells the Tucson in five trim levels: SE, SEL, SEL Plus, Value, and Limited trims. All deliver a reasonable amount of equipment, but none offers much in the way of options or innovation. 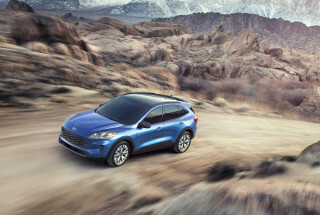 The base Tucson SE has the base 4-cylinder and automatic, as well as power features, air conditioning, cruise control, a rearview camera, Bluetooth with audio streaming, and a 5.0-inch touchscreen for its infotainment system. It’s the only Tucson still sold with a CD player, in case you won’t let the 1990s die. The SEL adds power adjustable driver's seat, heated front seats, a 7.0-inch screen with Apple CarPlay and Android Auto, as well as HD and satellite radio. SEL Plus models share this gear, but have dual climate controls, LED lights, and an 8.0-inch touchscreen. A Value trim level offers those features plus rear parking sensors, dual-zone automatic climate control, keyless ignition, a handsfree power tailgate, and a panoramic sunroof. It also has 19-inch wheels and heated front seats. 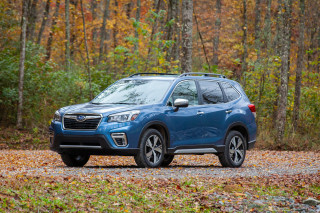 Limited models offer leather, and an Ultimate package gets cooled front seats, heated rear seats, and forward-collision warnings with automatic emergency braking. All Tucsons have excellent warranty coverage: 5 years/60,000 miles for basic coverage, 10 years/100,000 miles for its powertrain. At 26 mpg combined in base form, the Tucson earns decent fuel economy. The Hyundai Tucson crossover SUV earns higher EPA ratings than in the past, and fuel economy on its uprated turbo-4 engine is good. The entry-level Tucson sports a 164-hp 2.0-liter inline-4 and a 6-speed automatic. The EPA rates this front-drive model was pegged at 23 mpg city, 30 highway, 26 combined. 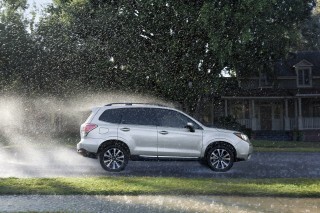 All-wheel-drive models were rated at 21/26/23 mpg. 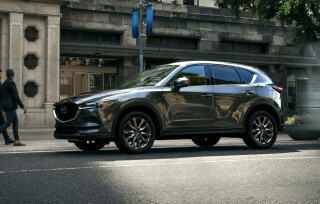 With the 175-hp 1.6-liter turbo-4 and 7-speed dual-clutch transmission, the Tucson Sport and Limited models with front-wheel drive were rated at 25/30/27 mpg. With all-wheel drive, those models are pegged at 24/28/25 mpg. 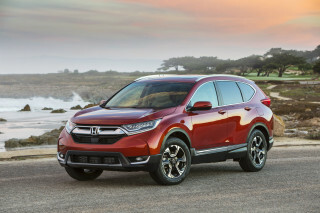 It’s worth noting all those figures rank well below the turbo-4 Honda CR-V, with its EPA scores of 27/33/29 mpg.